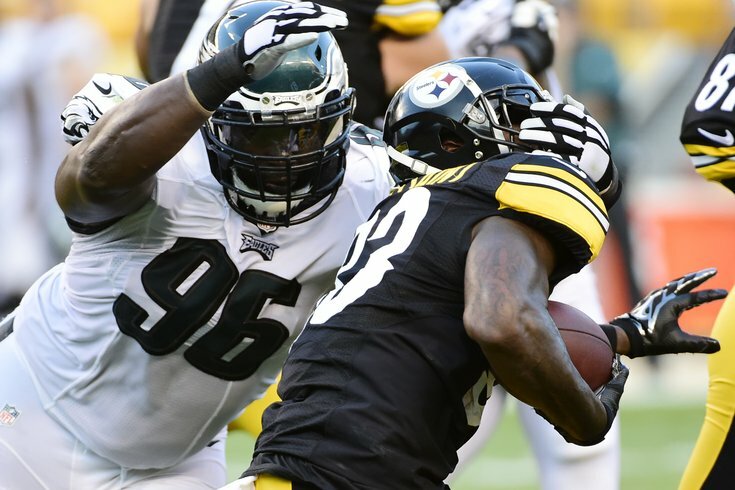 It's going to be difficult for the Eagles to keep DT Bennie Logan. The 2016 Philadelphia Eagles season is essentially over, so with just one game remaining, we'll continue to look ahead to the offseason. As a starting point, let's take a look at each position and figure out which players will be back in 2017. Today we'll look at the defensive tackles. While Cox had a down year, he is a piece you can build a defense around, and after having signed a $100 million-plus deal this past offseason, he's not going anywhere for a long time. This past offseason, the Eagles handed out a lot of shiny new contract extensions to players already on the roster, such as Zach Ertz, Lane Johnson, Sam Bradford, Vinny Curry, Fletcher Cox, and Malcolm Jenkins. One notable omission from the Eagles' attempts to secure their own players was Logan. The agent for Logan is Todd France, who also represents Fletcher Cox. If you'll recall, Cox's negotiations took forever and weren't exactly the smoothest. It feels unlikely that the Eagles are going to get a long-term deal done with Logan prior to the start of free agency. If indeed they cannot, Logan could be pursued by both 4-3 and 3-4 teams, as he has had success in multiple defensive schemes. The Eagles will be tight on cap space this offseason. My read is that Logan is going to hit free agency, and there will be some team out there that pays him more than the Eagles can afford. Bennie Logan: Stay or Go? Allen is a perfectly acceptable backup DT, and with our projection that Logan will leave for another team in free agency, the Eagles will need bodies. It was clear pretty early in training camp last summer that the Eagles like Vaeao quite a bit, and they'll continue to develop him. During the season, the Eagles needed a body to plug in at DT after Bennie Logan went down. Hart was unable to dress as he was injured himself, and has not yet been active for any games this season. As a reminder, the Eagles cut Hart after training camp this season. Hart is signed through 2017, and if he makes the team next year, it'll only be because the Eagles did not add any interior defensive linemen worth keeping. Taylor Hart: Stay or Go?